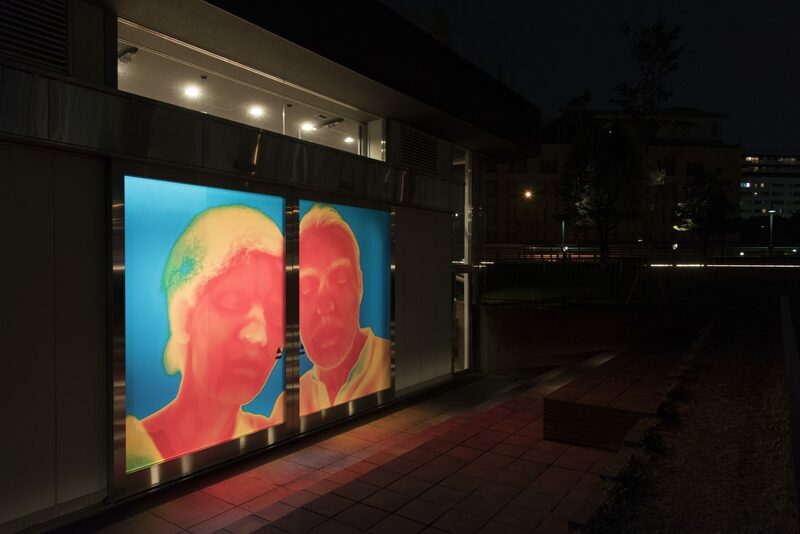 This portrait installation uses a thermographic camera. By visualizing the heat generated by two beings in various relationships, it looks into the realm of emotions and souls. This large-scale print work, on display at the entrance of Zou-no-hana Terrace, instantly changed the nightscape by reflecting the room light.